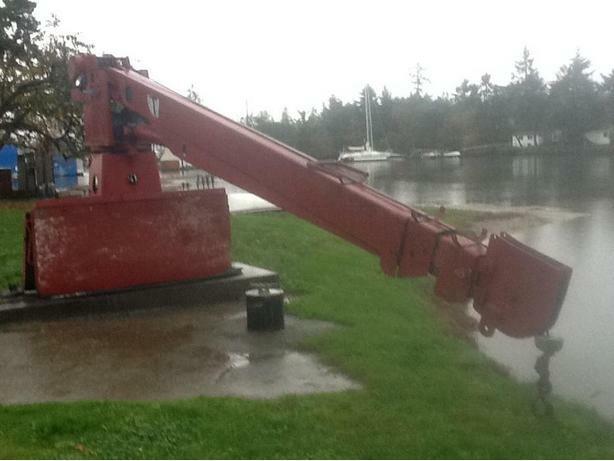 Crane has original stabilizers attached and can be remounted on a truck, or slab mounted as I have it. Worked beautifully And lightly for last 10 years, needs nothing, no rust. SOLID PERFORMANCE. Price is dead firm, if it doesn't sell and quickly it's going into the back of the yard, for me. At this price it's almost free. Only dead serious buyers with cash in their pocket should text as so far it's just been talk talk talk.